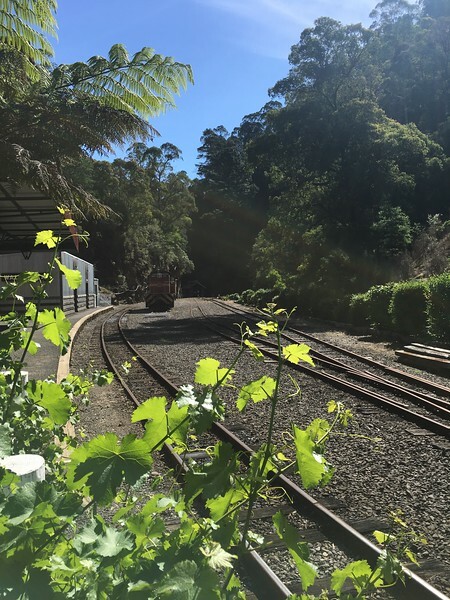 It’s fascinating seeing my own riding ‘backyard’ through the eyes of visitors. The December 13th run to Rawson is a Geelong Ulysses annual event. 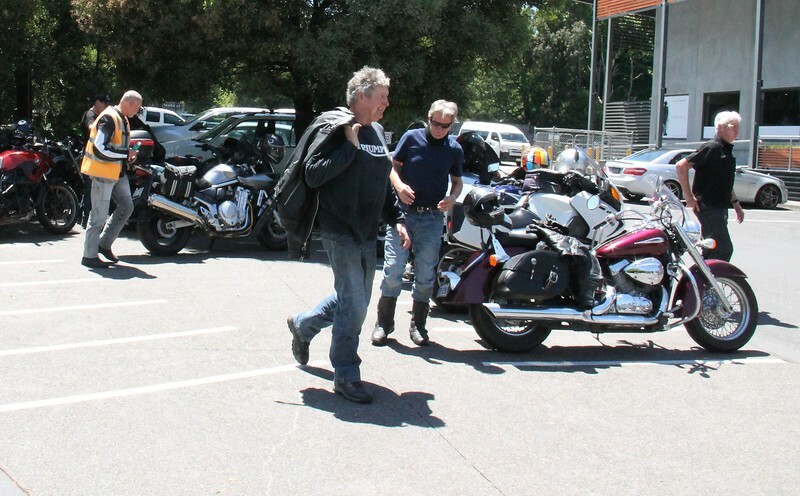 The first day of the 2017 ride had a weather forecast of 36C, after days of unusually cool summer weather. I’m not sure what it actually got up to, but it was damn hot for riding. 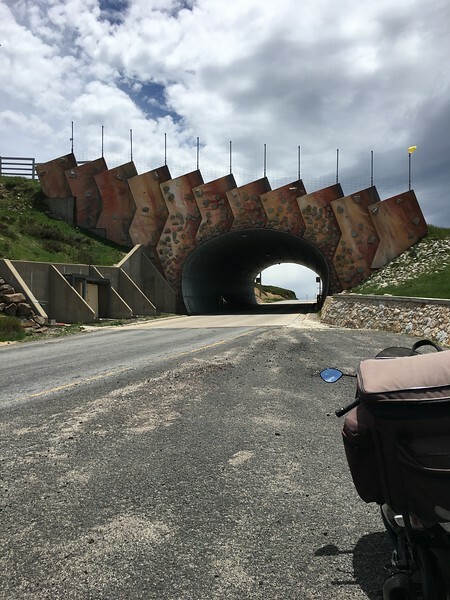 Unfortunately we encountered a lot of roadworks that we had to stop at throughout the morning section of the ride which involved skirting around the north of Melbourne via backroads. The heat radiating off the engine / radiator was just about unbearable with the dual fans forcing a blast of heat straight up at me. 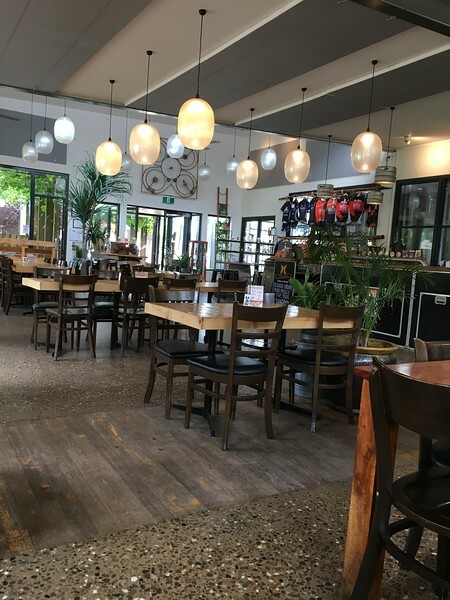 After lunch at the Healesville Bakery we headed off through the beautiful bush roads through Powelltown and Noojee and onwards to Moe to stock up on food and drinks for the evening. 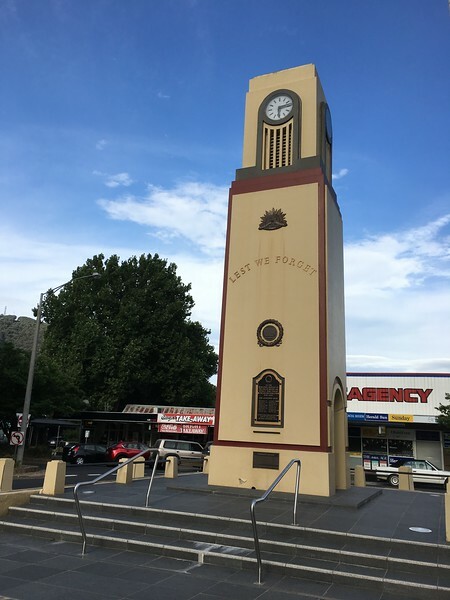 Most of the riders just wanted to get to Rawson as quickly as possible due to the heat, however, Gentle led a small group of six who wanted to take the road down to the historic township of Walhalla. It’s an excellent road with just one bend after another and tall timber all around. 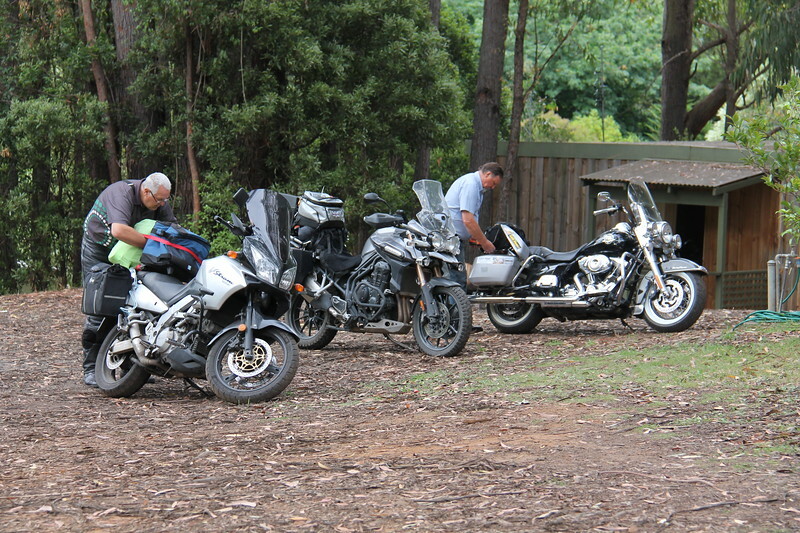 I did a ride through town to take some photos and then met up with the other fellas at the quaint little pub. 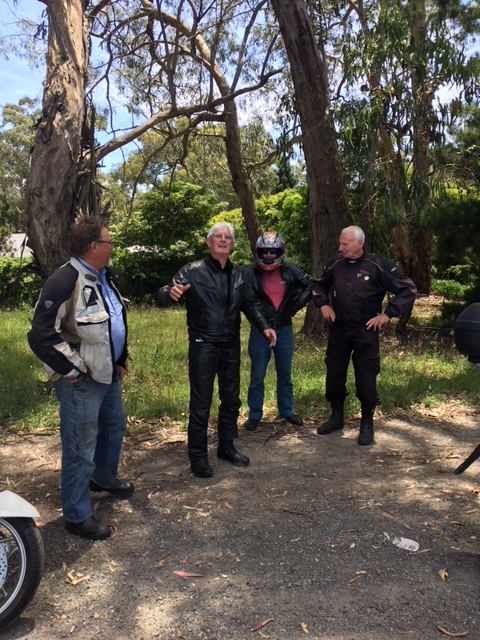 We then had a great run up through the twisties to Rawson with Marty leading, to cap off a really enjoyable day of riding, despite the oppressive heat. We got to our digs in the caravan park, which is a bush park, and got the riding gear off, and then had a shower and got into shorts as quickly as possible. We self- cater at Rawson and after a few beers had the BBQ’s fired up and our evening meal cooked. It was a lovely warm evening sitting under the tall eucalypt trees yarning with the crew. On Thursday Marty and I headed off for Bright, via The Great Alpine Road, rather than heading home with the others. 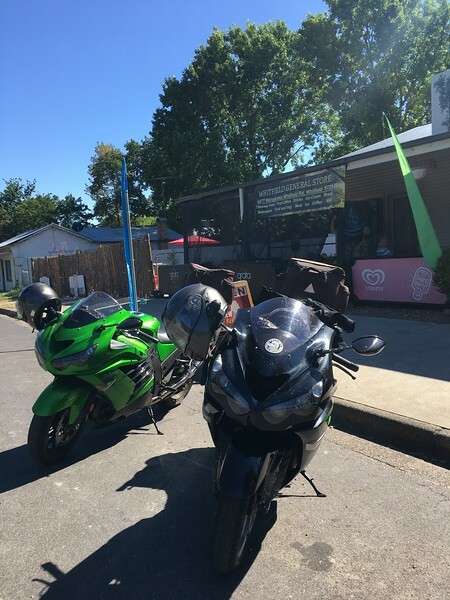 We stopped Bairnsdale for lunch and to top up the coolant in Marty’s ZX14R. 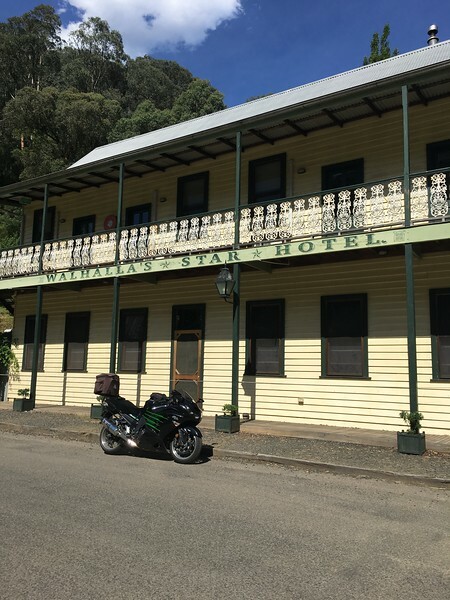 We had a brilliant run to Omeo where we stopped for milk shakes and then headed to Mt Hotham and onwards to Bright. The descent from Hotham wasn’t that enjoyable as virtually every downhill, left hand hairpin bend had very soft tarsnakes all through them. It wasn’t great feeling the front end squirming about on each corner. We pretty much had the Bright Brewery to ourselves. It was the perfect spot for some craft beers on a hot afternoon. 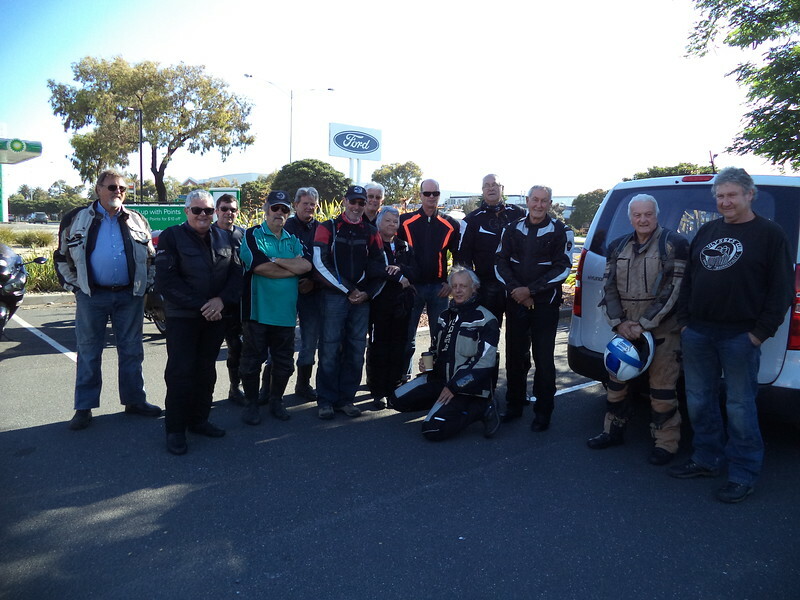 We strolled around to visit Peter Rees and John Allen (who still rides extensively and rides well at age 82 is a real inspiration) at their motel and had an enjoyable time yarning with them. After a counter tea at the pub we headed back to the Riverside motel to watch the cricket. I actually didn’t see much of it as I kept nodding off to sleep! Two days of intense riding and heat finally caught up with me and I was out like a light by 9.30pm. We were up fairly early and hit the road. The cool morning air of the Ovens and then the King Valley was an absolute treat. At the end of the King Valley we pulled into Whitfield and enjoyed a cooked brekky at the General Store. I love this area and we camp on the King River fairly regularly. 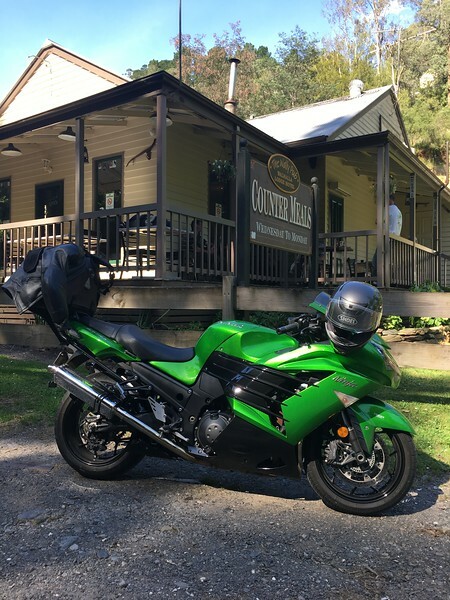 I was thinking of dropping in at Stringybark Creek – the site of one of Ned Kelly’s battles with the police, however, a local informed us that it was approx 10kms up a dirt track so we gave it a miss. 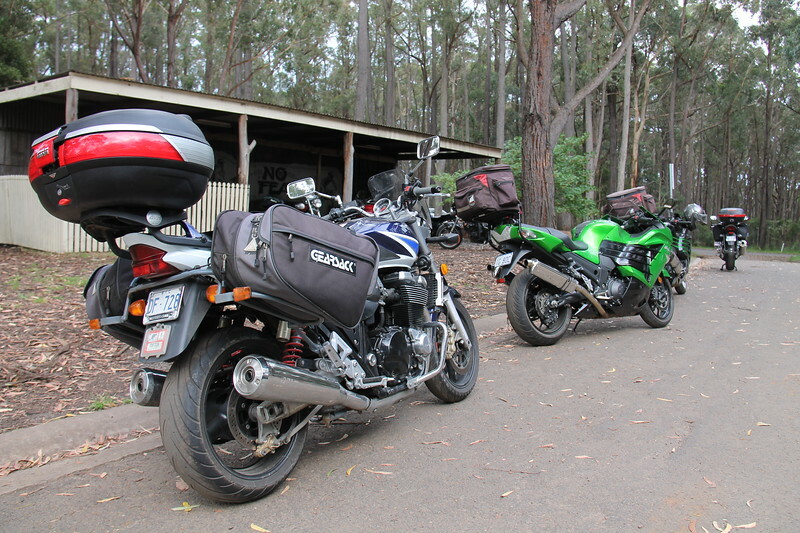 We thoroughly enjoyed the twisties between Whitfield and Mansfield and rode through to Yea for fuel and lunch. From here it was pretty much a straight run through to Strath Creek, Broadford, Bacchus Marsh and then home. All up I covered 1250 kms of really enjoyable riding, mostly on twisty bush roads of Gippsland and then the Vic ‘High Country’. The Ulysses crew were great company on the first day, and as always, Marty was a great riding mate for days two and three.